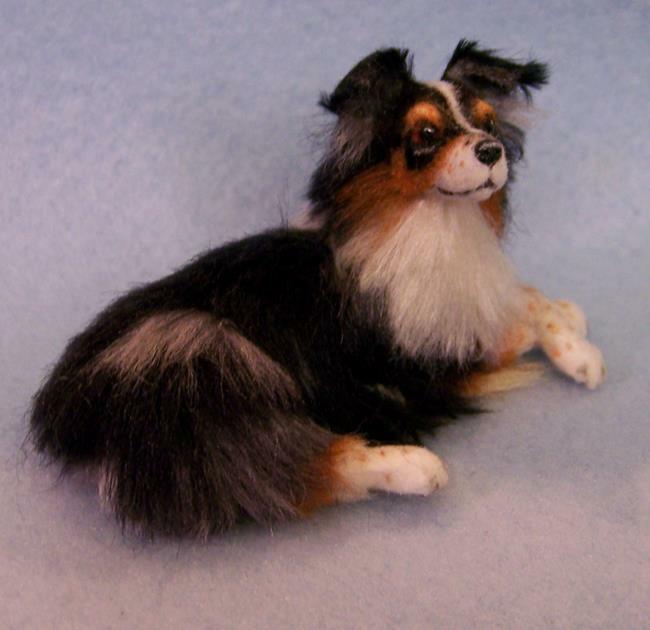 I've been away from ebay for awhile to focus on some custom work and to deal with a personal crisis. 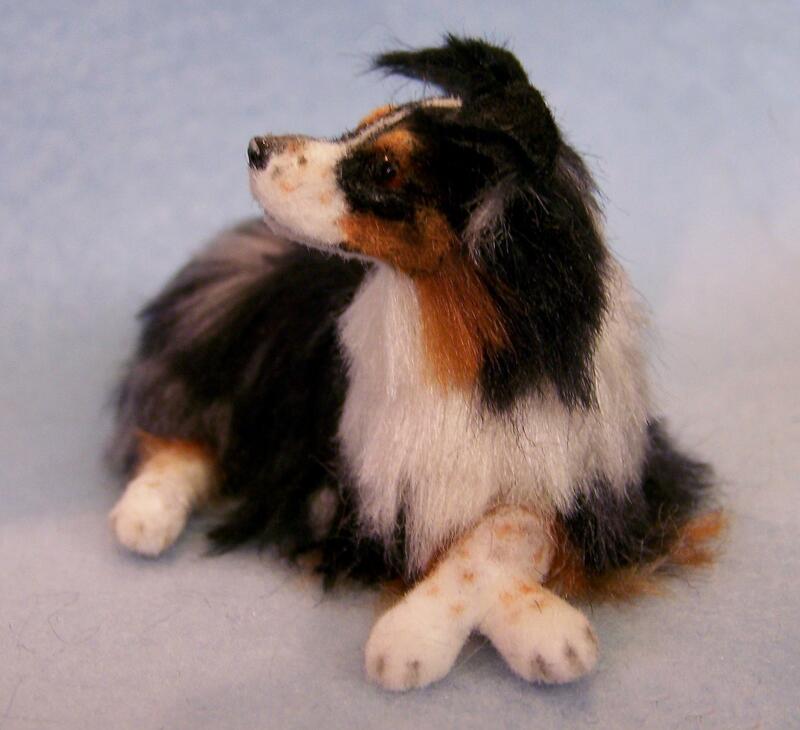 I created this little Aussie last year and she became part of a duo that won 2nd place in 3-D at the Spiva Center for the Arts yearly membership show. I have kept her as long as I can but now need to raise some funds (don't we all!). 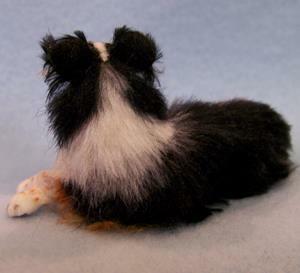 I first carefully sculpted her in polymer clay, painted the tiny details with acrylics then applied the silk fiber one tiny layer at a time until achieving the finished piece. I made the eyes in a separate process and cured them into the sculpture giving them a realistic appearance. She will arrive with a signed, dated and numbered certificate of authenticity that may be verified through the ebsq site. 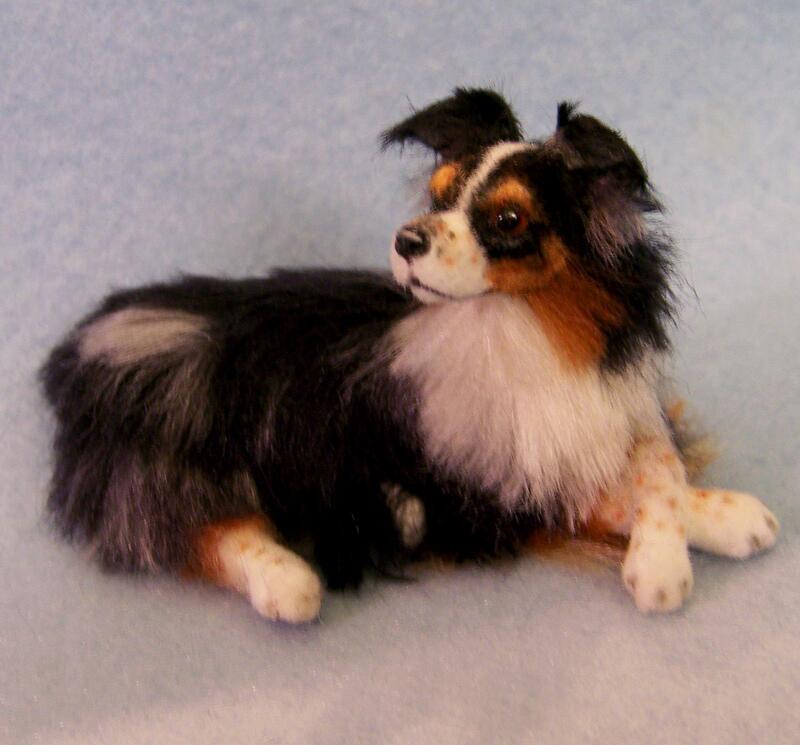 This would make a great addition to your original dollhouse or Australian Shepherd collection!